Golden Gate Drift hosted Round 4 of it’s Formula Drift Pro licensing series this past weekend at Thunderhill Raceway, located just minutes outside the Northern California town of Willows surrounded by classic California rolling hills and grassland. This would be the second time we’ve joined Golden Gate Drift at Thunderhill this year, and the second time we’ve been to Thunderhill, ever. Dan Brockett’s No Coast Drift Party is one of the events I look forward to attending every year. For the past 4 years, I’ve traveled with various groups of friends out to Sandia Motor Speedway in Albuquerque, New Mexico to hang out with some of the most awesome people in the drift community. 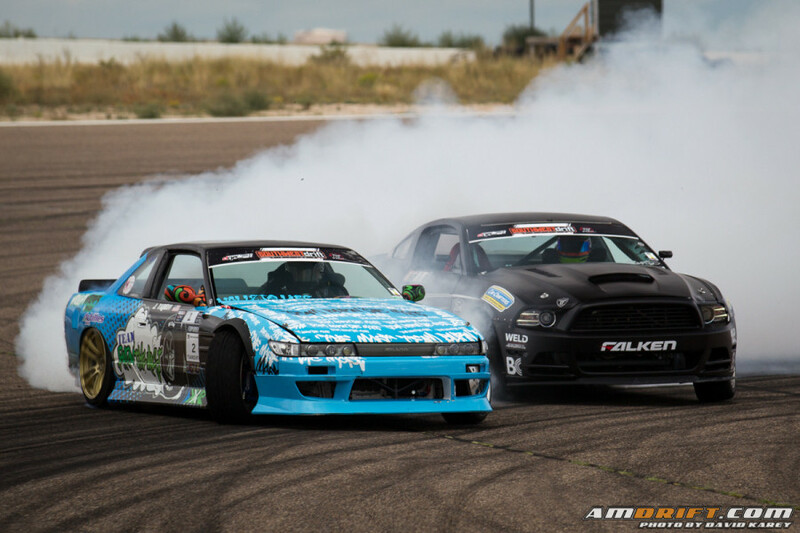 This year, Vegas Drift hooked up with Dan Brockett/Whiskey Garage and brought Southwest Drift Series to Sandia, and added a bit of seriousness to the event that is usually a whatever goes drift party. After a long, tiring, but exciting year of Formula Drift Pro Am, the pro licensing season is quickly coming to an end. Just Drift held their final round of their Formula Drift licensing series, Top Drift, this past weekend at it’s home at Willow Springs Raceway. With the final round of the Southwest Drift series just around the corner this coming weekend, a couple familiar drivers to the Pro Am scene locked in their earnings a series early.